Showing results by author "Alana Matthews"
All graduate student Kelsey Coe wants after a hard day of school and work is to get some much needed sleep. But hunky Zach Parker - former deputy U.S. Marshal turned bounty hunter - has different ideas. He's gotten a tip that Kelsey's a wanted fugitive and he aims to take her in for a nice hefty reward. But when the bullets start to fly on a bus ride home, a simple case of mistaken identity soon finds Zach and Kelsey running from some very dangerous men. After Zach and Kelsey go into the bounty hunting business together, Kelsey handles her first solo gig - a simple babysitting job transporting a bail-jumping con man from Houston to L.A. But to Kelsey's surprise, this particular con man has ties to her past - and a very deadly target on his back. 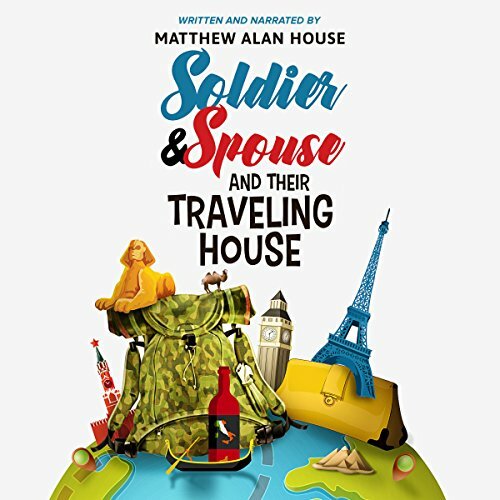 Soldier and Spouse and Their Traveling House puts a witty spin on the dynamic of newlywed husband and wife trekking across two continents during their first three years of marriage. Who heads this household? The thrill-seeking soldier? Or the sensible spouse? Come along with this twenty-something military couple on their off-duty weekends as they dash in and out of trouble from the Emerald Isle to cruising down the Nile and many places in between-Western Europe, the Baltic, North Africa, the Balkans, Eastern Europe, and the Mediterranean.